I used Sally Hansen in Breezy Blue #481 ( i usually love name brands, but Sally Hansen is one of my favorite inexpensive nail polishes that i think is good quality and lasts for the week!). I used just a good covering white and Ciate in PP101 Kiss Chase. And then as usual, i used X Formula Nail Cleanser, Base Coat and Top Coat. 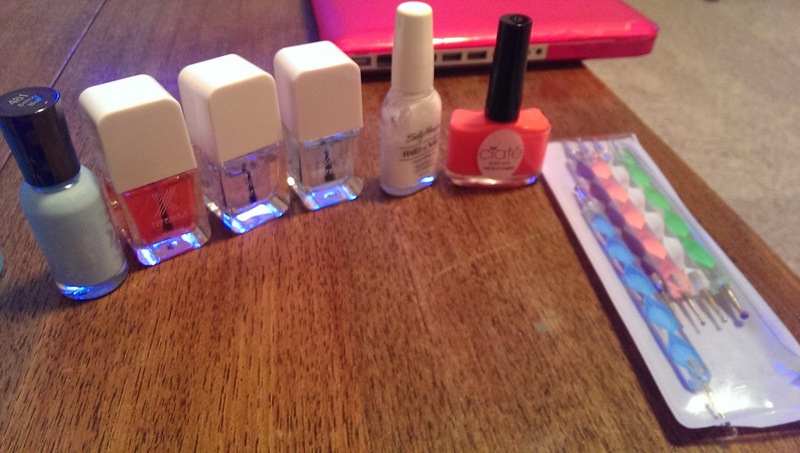 I also used nail dotting tools in different sizes (a pack of 5 can be found for an awesome price on ebay). 4. Let dry & top coat! So easy and they turn out so cute!! 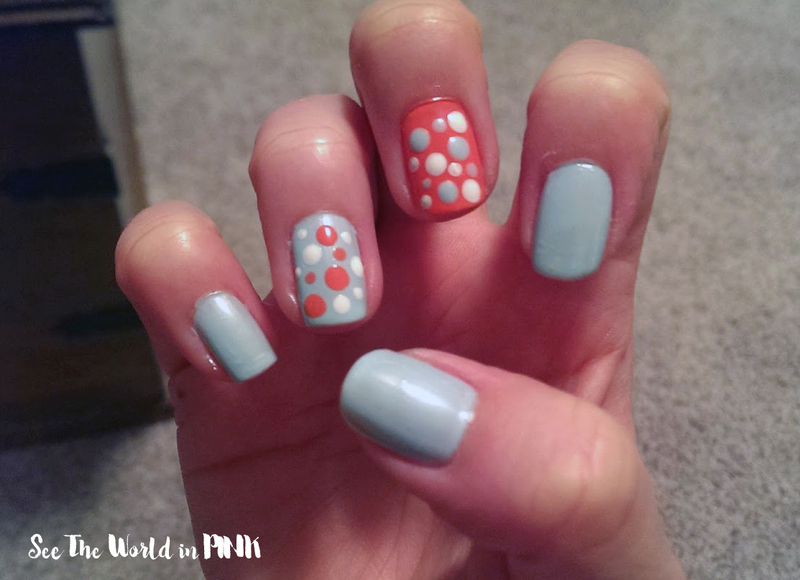 Hope you like this week's Manicure Monday!